Thank you for the wonderful response to the third round of the Eggface Things I Heart Giveaway. Congratulations!!! 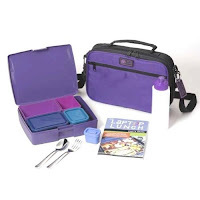 You are the winner of the Super Cool Bento Box System! Check your mail and follow email instructions for claiming your prize. Didn't win but want the 411 on the bento box? Here's the link. Already have one and want to see ideas on how to fill yours? Type the keywords: bento box in the search box under my before and after picture <-- on the left side of the screen. You'll get oodles of ideas. Come back every Sunday in the month of February (7th, 14th, 21st, 28th) to find out what that week's I Heart prize is. I love this site. It makes me feel "normal". You show me how to eat like a "regular" person. Other sites make me feel like a failure if I eat real food! !